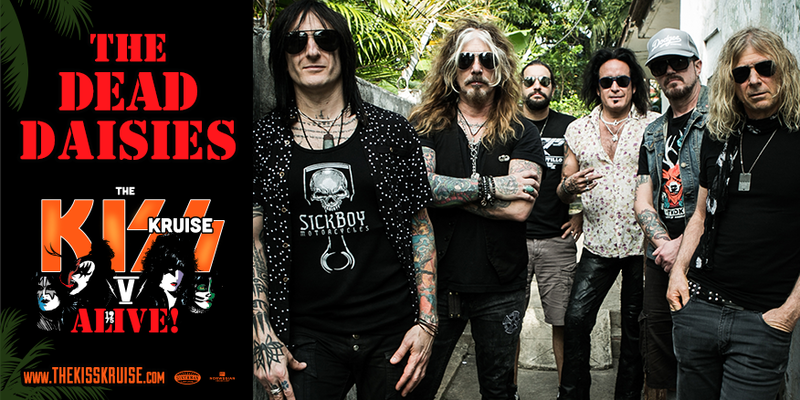 The Dead Daisies announced for KISS KRUISE! We are EXTREMELY excited to announce that KISS have invited us on this years KISS KRUSIE! We have an opportunity for you to come bowling with us, watch this space for more information! 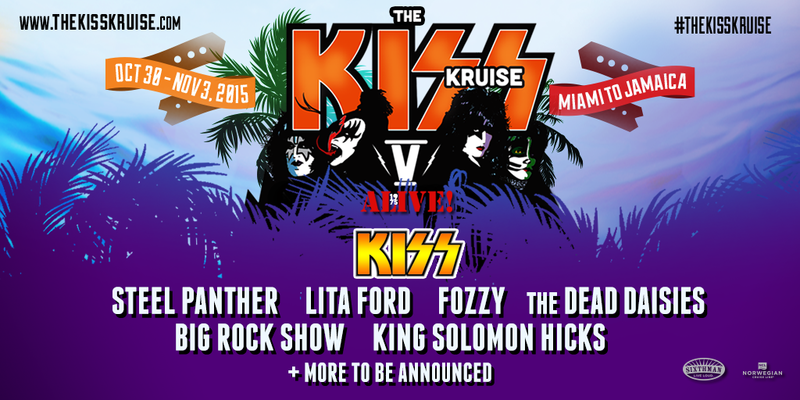 Rock and Roll Hall of Fame inductees set to perform groundbreaking album “Alive!” in its entirety on fifth annual sailing of The KISS Kruise. ATLANTA, GA – Rock and roll juggernauts KISS are joining forces once again with Sixthman, the industry leader of festivals at sea, to bring you The KISS Kruise V: 1975’s Alive! The sold out Kruise will set sail on October 30th and return November 3th with kruisers traveling from Miami, FL to Ochos Rios, Jamaica aboard Norwegian Pearl. 1975 was such a pivotal and trailblazing year in “KISStory”, it’s only fitting that guests sailing on The KISS Kruise V can expect to find themselves immersed in the golden age of the rock legends’ rise to prominence. The band is set to play their first gold wining record, “Alive!”, released in 1975, to commemorate the 40th Anniversary of the highly successful live album. Another treat for the mega KISS fans on board will be watching their rock heroes play the Alive set in vintage costumes from this revolutionary era. For decades, fans have come to expect KISS to start things off with a bang, and the fifth voyage of this long running event will be no different. For the first time in The KISS Kruise history, KISS will play their unmasked opening sail away show electric, and riddled with rarely preformed deep cuts. Guests were each asked to submit the top three songs they’d love KISS to play during the Kruise, making the event just as guest interactive at its always been. Kruisers can also look forward to not only live performances, but also engaging activities with each of the KISS members, entertaining theme nights, and various keepsakes to remember the event, including a photo taken with the band on board. Norwegian Pearl will travel to Ocho Rios, Jamaica, which offers a plethora of activities for travelers of all walks. Guests can stroll along the beach, take a hike through one of the many nature trails, enjoy a variety of local cuisine, shopping, and several other eclectic experiences. A destination of her own, Norwegian Pearl offers guests access to 13 bars and lounges, 19 dining experiences, one outdoor pool, hot tubs, and spa treatments that will soothe the most hardened minds and bodies. Guests aren’t limited to just live music as more activities can be found throughout the ship. Play a game of soccer or basketball on the sport court, bowl a few frames at the onboard lanes, or try your luck with a few hands at The Pearl Club Casino. Forthcoming announcements are scheduled to follow with more shows, contest additions, activity details, and special guest artists to round out this rockin’ event! KISS remains one of the most influential bands in the history of rock and roll. As one of America’s top gold-record champions, KISS has released 44 albums and sold more than 100 million albums worldwide. Decades of record-breaking tours around the globe have included high-profile appearances at Super Bowl XXXIII, the Winter Olympics in Salt Lake City, the Rockin’ The Corps concert dedicated to our troops in Iraq and Afghanistan, and special guest appearance on the 2009 American Idol finale that boasted 30 million viewers and a 2010 Dr. Pepper Super Bowl commercial and advertising campaign in support of their Hottest Show On Earth tour. KISS is currently featured in major advertising and marketing campaigns for John Varvatos and Google Play. In 2014, KISS launched their inaugural Arena Football League Season with the LA KISS Football team bringing professional football back to Los Angeles. The unparalleled devotion and loyalty of the KISS Army to the “Hottest Band in the World” is a striking testament to the band’s unbreakable bond with its fans.